One of those daft things that the English like to do. Once a year. The Challenge …. 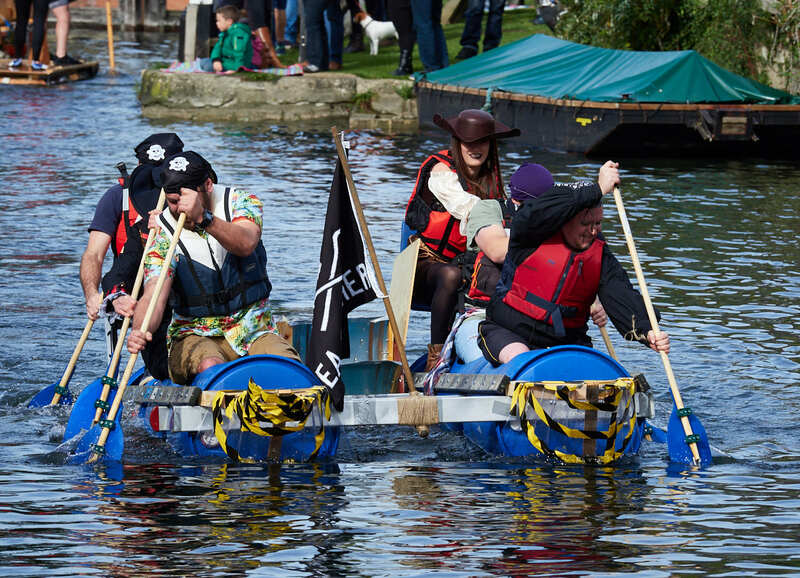 to design and build a raft that can take up to 6 team members along the 1.2km stretch of the Thames and Severn Canal starting from The Bell, Upper Lock, Stroud. All by paddle power and with a great deal of fun.